What’s hot in graphic design and programming? If you want to make your website stand out from the rest it’s a good idea to know about the latest trends in graphic design and programming; they can help you to create an impressive web presence. Remember that your website is your digital shop window and it’s your opportunity to engage with potential clients and customers. You want to be seen as a business that is current and embraces the latest innovations. We are going to talk about some of the developments in programming and graphic design that are hot right now and that you may want to look at embracing for your brand. This is really important when you are thinking about your branding. You should never forget that the white or “negative” space in a design is not wasted space; it can be integral to the design itself. If you are creative with your use of white space you can use it to give a deeper or second meaning to your design. For instance, if you were running a florist business you could use coloured petals around a white inner space that is in the shape of a full bloom. It’s all about using white space to your advantage, to show potential customers what you do as well as displaying your creativity. It used to be relatively simple to jazz up a web page by using just simple new commands. Those days disappeared as web pages became more and more complicated. If you were to adopt the using simple code theories today you could end up throwing your whole website out just by trying to make one simple change. This is where CSS frameworks come into their own. These frameworks, such as SASS and Compass, help to stabilise the coding of your website by providing you with programming constructs such as nesting blocks and mix-ins. 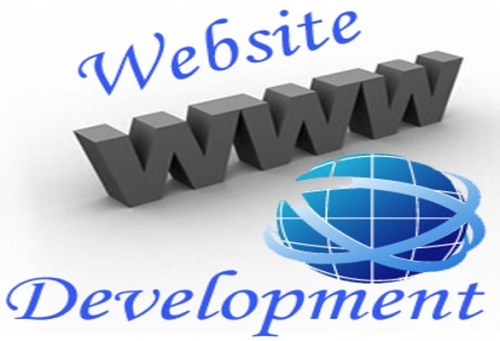 All of this means that you can make changes and updates to your website and it will retain its stability. If you want to provide more content for visitors to your website, but you do not want to overload the site itself, you may want to produce some publications or brochures which you can upload to your website. Traditionally, many people have used pdf files for this purpose. The problem with pdf files is that they are not especially eye catching or interactive. If you convert pdf to flipbook you can provide anyone visiting your website with great looking content that captures the imagination. Flipbooks read very much like traditional books and magazines, in that readers click or swipe to turn pages, but they provide all the advantages of the digital age. You can include video and sound clips in the content as well as interactive links to supporting content that improves the reading experience. Using flipbooks for your content provides a modern and immersive feel. We have only scratched the surface of what is new in the world of graphic design and programming but hopefully we have given you some ideas about how you can continue to improve your online presence. How Marketing Automation Benefits You and Your Customers?